customer service in all internal/external interactions. great career path for the right person. Salary DOE. 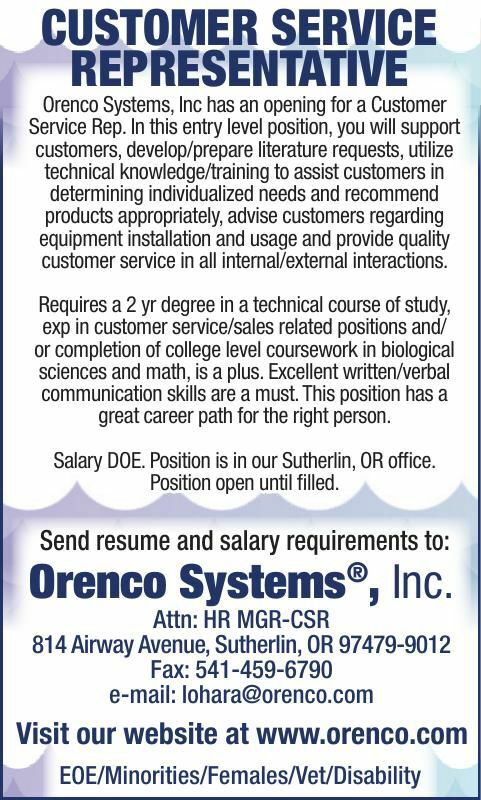 Position is in our Sutherlin, OR office.